The freestanding bath is a trend that certainly doesn't appear to be going out of fashion any time soon. In fact, the opposite is true. More and more of us are viewing our bathrooms as a spa sanctuary. Somewhere to get away from it all and enjoy a little relaxation. We want all the opulence of a standalone bath, but with all the function too. That's why we've introduced these stunning new freestanding baths to our already extensive range. 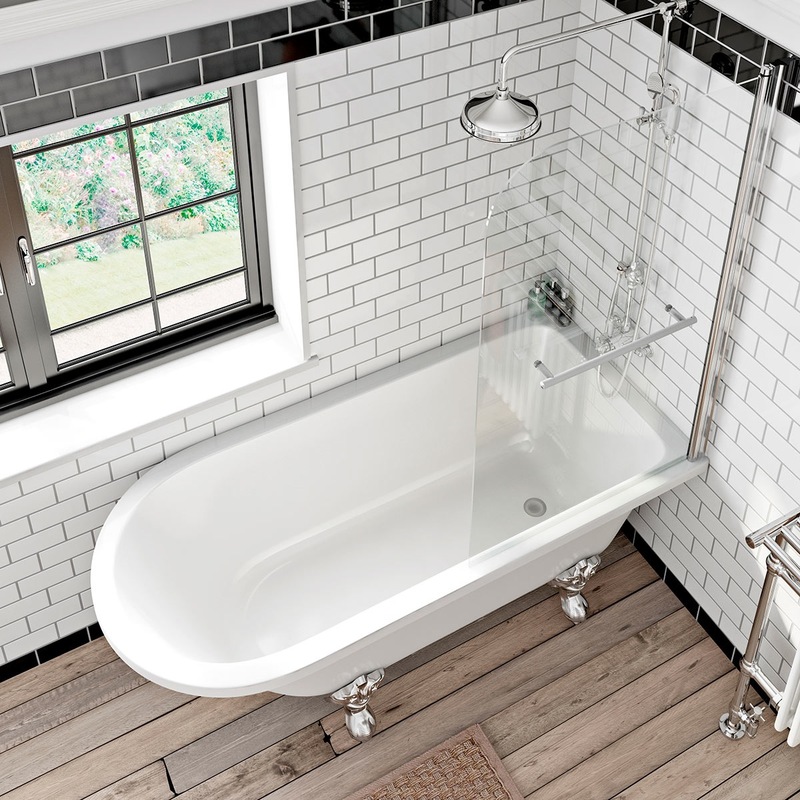 Many of us tend to shy away from the very notion of a freestanding bath, simply due to space constraints. After all, a typical bathroom is usually only around 2.72m x 2.39m, so there is little room to play with. One simple compromise is the all-purpose shower bath, which allows you to combine your shower unit and bath in one. But what if you could get the best of both worlds? Luxury bathing and a centrepiece bath, with everyday functionality. 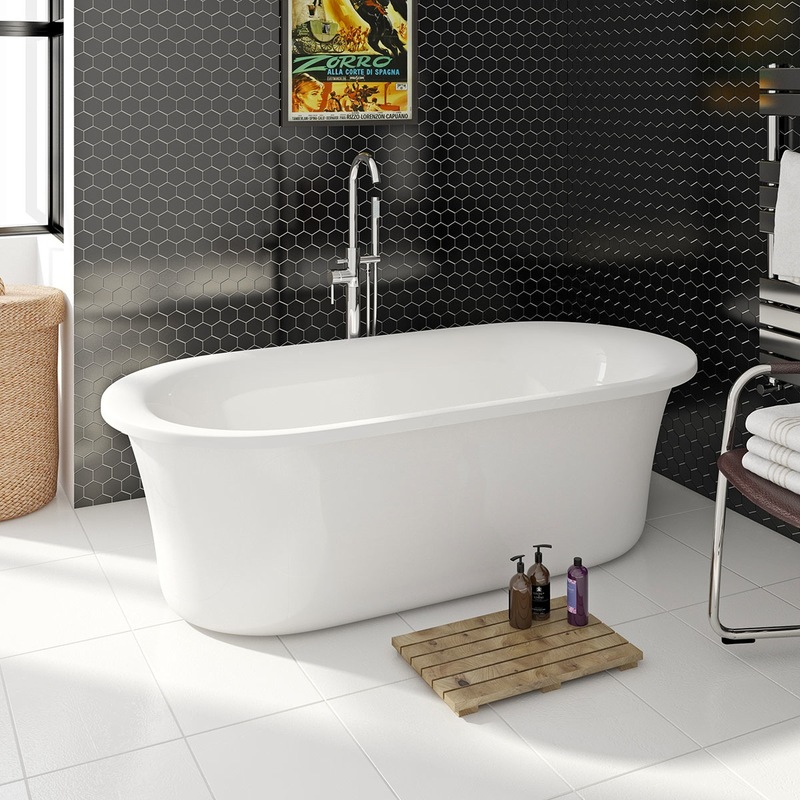 The single ended Shakespeare bath is designed to fit snugly in the corner of your bathroom, whilst still maintaining the appearance of a traditional roll top bath. At just 1690mm x 780mm it'll fit neatly into even a modest-sized bathroom, and you'll still get a very generous 217 litres in which to bathe, but here's the clever bit. Both sides have been designed with an extra wide lip, so you can fit a shower bath screen if you desire. Hey presto, you've got a shower bath. It also comes complete with intricately-detailed, chrome-finished ball feet. Simple clean lines and a tapered rim with thin edges exemplify the timeless, modern style of this beautiful freestanding bath which we've named Sally. Measuring in at 1800mm x 840mm, our Sally comes with a superb 210 litre capacity, for a deep and indulgent soak, and is made from high quality acrylic that is tough, hardwearing and warm to the touch. For these baths and more, take a look at our superb selection of luxurious freestanding baths and get a taste for the high life. Most freestanding baths will fit into a regular sized bathroom without making things look too crammed.